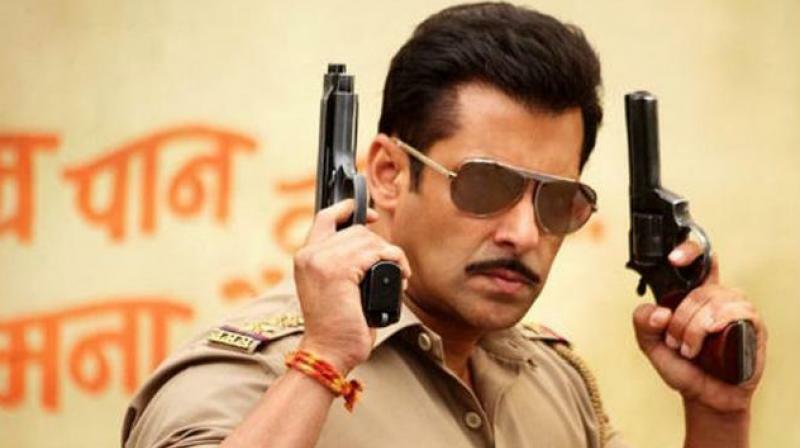 Salman Khan’s Dabangg 3 Postponed to 2020 Due To Bad Performance Of Big Budget Films? A couple of weeks ago Arbaaz Khan gave us a news which made us jump with excitement. He announced that Dabangg 3 will be going on floors next year in February – March, he also shared that the script has been locked and the technicians and actors have also been finalised. And the film was scheduled for Christmas 2019. But now there’s a sad news! Dabangg 3 might not even release next year. If the latest reports of Bollywood Hungama are anything to go by, the film might get postponed to Christmas 2019. The reports state that Salman is concerned about the script and doesn’t want to take any risks. To ensure that the script is right, he has instructed his team to work hard on it. According to sources mentioned in the report, Salman has become cautious by the way big-budget films such as Jab Harry Met Sejal and Tubelight have bombed at the box-office. His last release Race 3 was not appreciated by the audience as well. And Aamir Khan’s Thugs Of Hindostan has added to his worries. It’s high time for the stars to re-think about the scripts as small budget films with good story and scripts are doing wonders.